Sampford Advisors grows its team so that it can continue to provide first class mergers and acquisitions (M&A) and capital raising advisory services to its clients in Ottawa and the surrounding area.. The President and CEO of boutique investment bank Sampford Advisors is positive on the flow of capital into Kanata North. The company, which helps tech companies through the complicated waters of M&A, employs six people in Ottawa and is adding Evan Pilz as its man on the ground in the GTA. As for M&A, we’ve seen a large drop off in the dollar volume of transactions for the first half of 2017, but the number of overall transactions is still relatively strong. We recommend starting your search for capital early, talking to as many providers of capital as possible and when you do come to raise, raising enough to provide a cushion to the next anticipated capital event. Every year, the team at Sampford Advisors surveys tech CEOs from across Canada with regards to how constructive the business environment is, and their views on opportunities and challenges for the year ahead. An Ottawa-based software firm has been acquired by a U.S. company looking to fill out its portfolio of creative industry offerings. Ottawa-based Sampford Advisors acted as M&A adviser to ConceptShare. Is selling your homegrown company a sin? Not according to Ed Bryant of Sampford Advisors. Sampford Advisors, an Ottawa-based consultancy specializing in mergers and acquisitions, assisted Magor with its strategic review. 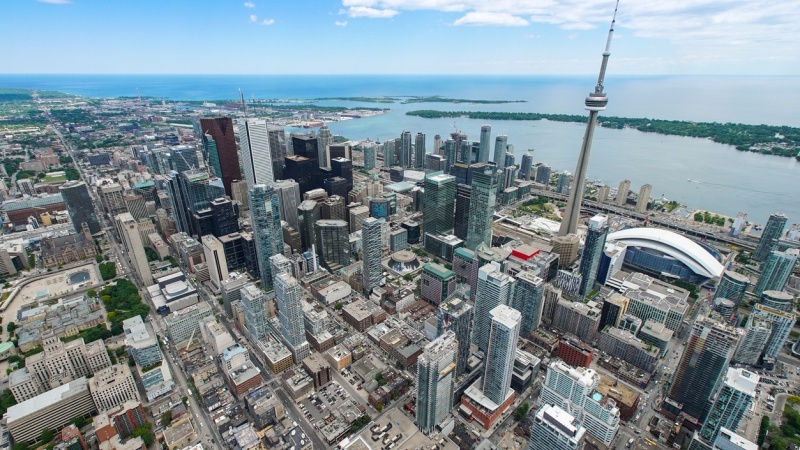 Sampford recently opened a Toronto office and is targeting private technology deals in the $10-million to $100-million range – a niche that the firm’s founder says is underserved. So, we recommend that SaaS companies begin actively tracking what is happening with the exchange rate, have a plan in place to accommodate future changes, and potentially use hedging strategies to offset risk. This transaction offers value for customers and shareholders”, says John Proctor, Martello’s President and CEO. “We’ll grow faster and solve our customer’s problems more effectively". Sampford Advisors acted as exclusive M&A adviser to Martello. QuickTapSurvey, a survey app that allows companies to create online and offline surveys, has been acquired by an undisclosed US buyer. Sampford closed the acquisition. Launched in 2010, the Toronto company boasts clients like Disney, Nike, and McDonald’s. Today, the special committee has appointed Sampford Advisors Inc. as its financial advisor to pursue an effective process in exploring strategic alternatives. VENTUREBEAT: DO CANADIAN TECH COMPANIES SELL TOO EARLY? So the next time you hear someone putting down Canadian entrepreneurs for selling their tech businesses too early, you can let them know it’s simply not true. Its $63.5-million acquisition of IRD will position the company in its new space as a holding firm for companies involved in the industrial Internet of Things (IIoT) sector. The awards aim to recognize the most successful and innovative companies and business leaders who are driving economic growth and prosperity in the nation's capital. Sampford was Best New Business. With ambitions of going public later this year, Martello Technologies is starting 2018 with a merger that its CEO says completes its product offerings. Ottawa-based Sampford Advisors acted as the M&A adviser on the deal. “There are more bootstrapped companies than VC-funded ones” in Canada, said Ed Bryant, chief executive of Ottawa-based Sampford Advisors, a technology-focused mergers and acquisitions advisory firm.